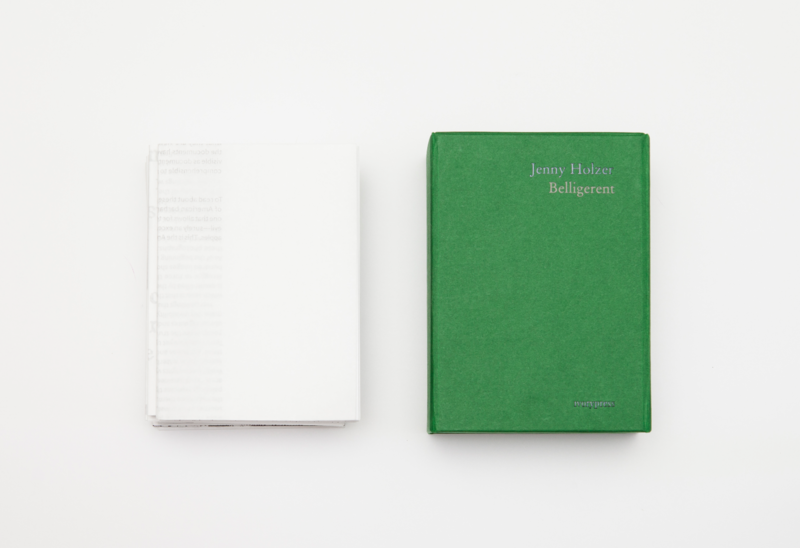 Printed Matter presents an exhibition, book launch, and signing with Jenny Holzer on the occasion of the Ivorypress publication of BELLIGERENT. The artist’s book contains seven folded-poster works by Holzer, each one taken from a redacted U.S. government document investigating abuse in military prisons. JENNY HOLZER – BELLIGERENT LAUNCH, Saturday, April 28, from 5 pm to 7 pm. PRINTED MATTER, 231 Eleventh Avenue, at 26th Street, New York City. Jenny Holzer, Belligerent. Image credit: Ivorypress. This entry was posted in ART, BOOKS/PERIODICALS, CONVERSATION and tagged Belligerent (Holzer), Ivorypress, Jenny Holzer, Printed Matter on April 26th, 2018 by Barlo Perry.